Can your Moto 360 communicate using classified waveforms? Would your Pebble Time survive a nuclear blast? No chance - you may as well throw your smartwatch in the bin now. 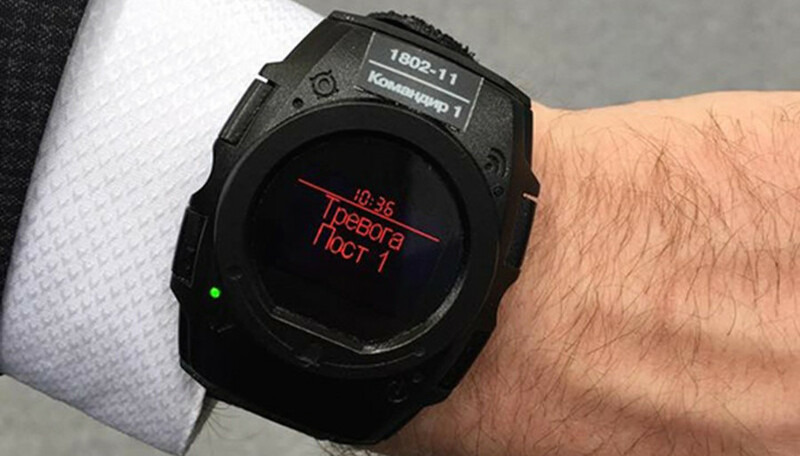 The Ivan Drago of the smartwatch world - the Argus-Spektr Company's Strelets – has been detailed by Russia Today and sounds all sorts of hard-core. Not only does the Strelets wearable offer vitals monitoring for its user, along with a GLONASS-powered positional tracker, its makers also claim that it would "remain functional after being exposed to the kind of electromagnetic frequency impulse (EMP) that accompanies a close-range nuclear explosion". We're not sure the guy wearing one would would but, hey, let's not nitpick. Operational in temperatures ranging from -50 to 50 degrees, the main reason for the Strelets' existence is to keep tabs on the device's operators. If a soldier stops breathing, remains motionless for a period of time, enters an unknown area, or if the watch is taken off - an alarm is sent to a command console so a search and rescue could begin. The communication is two-way - the wearer is able to receive messages and co-ordinates on the wearable as well. Apparently, the Strelets watch is already being worn by guards at the National Defence Control Center in Moscow, and was tested at the Winter Olympics in Sochi last year. We at Wareable welcome our new Russian overlords.